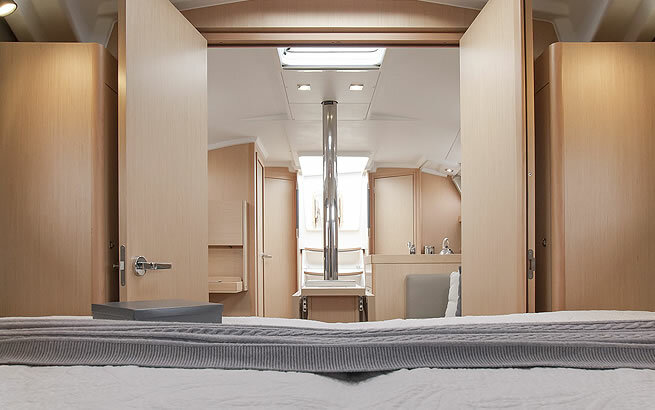 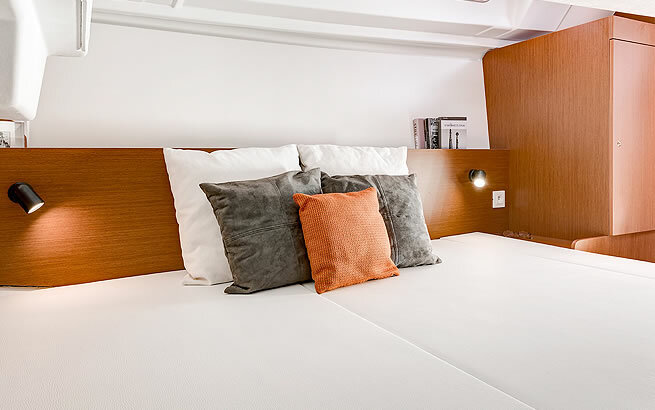 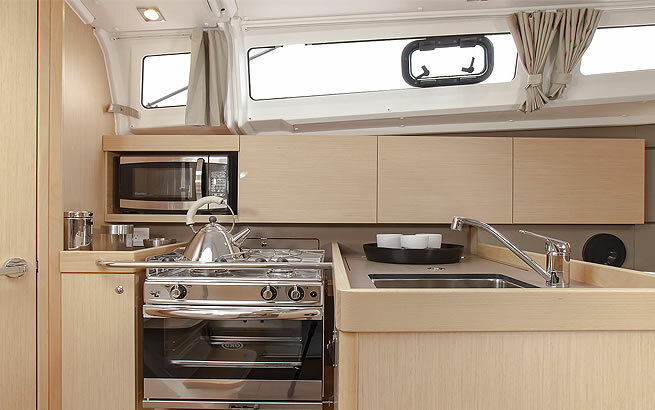 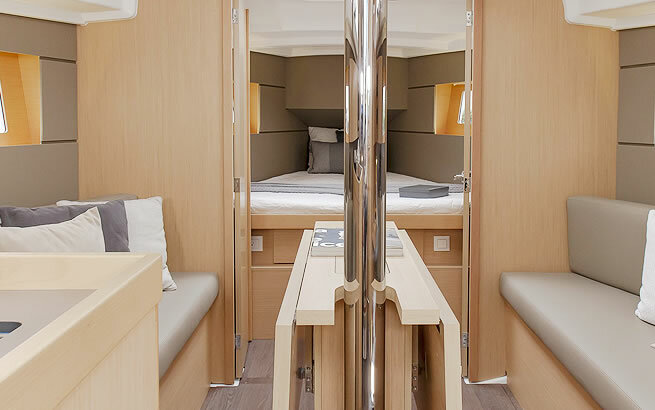 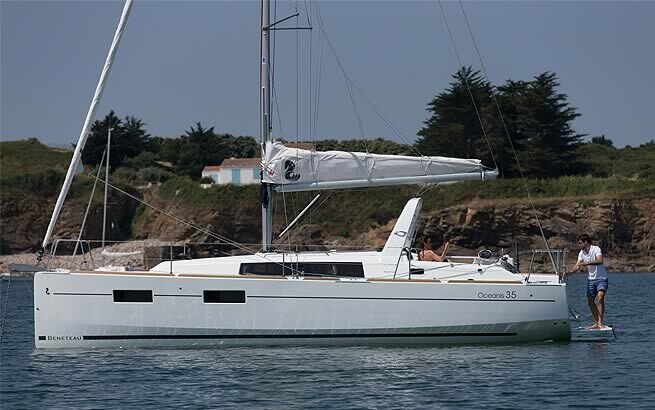 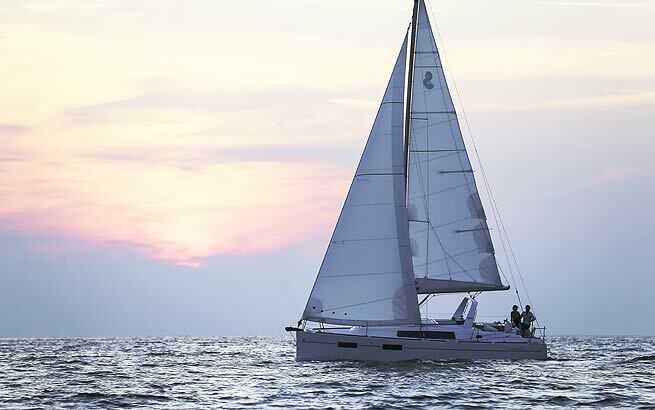 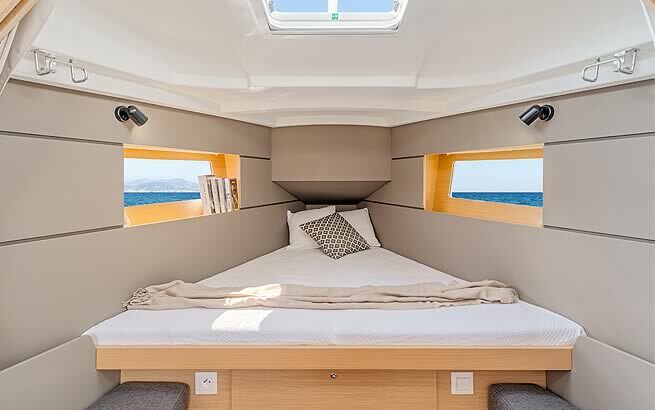 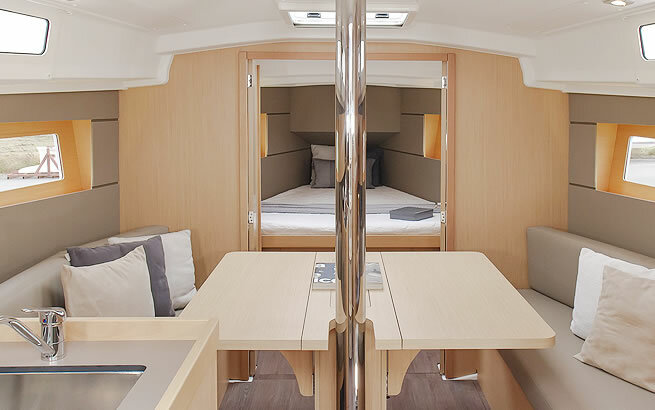 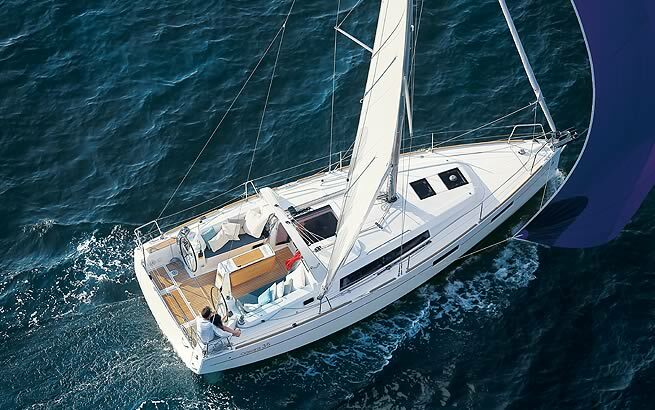 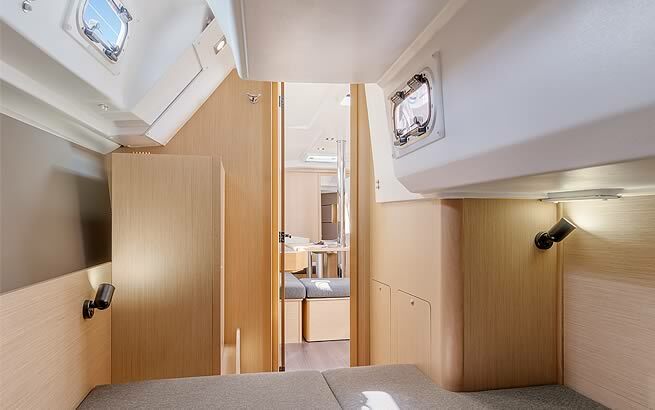 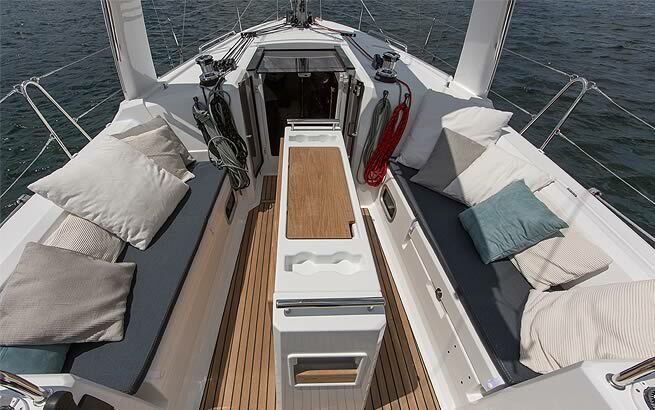 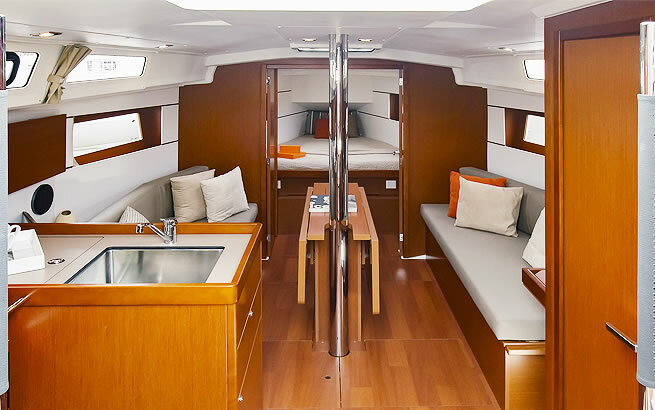 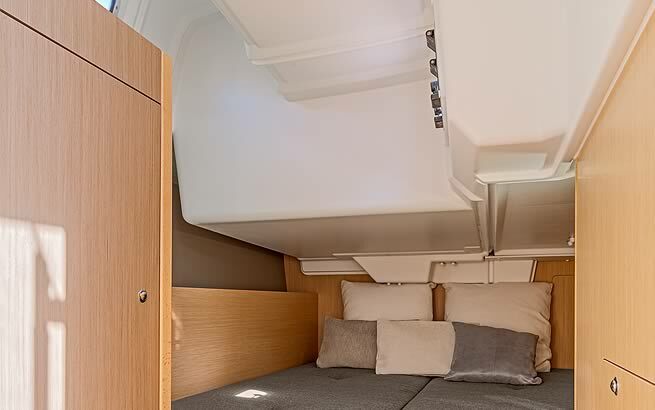 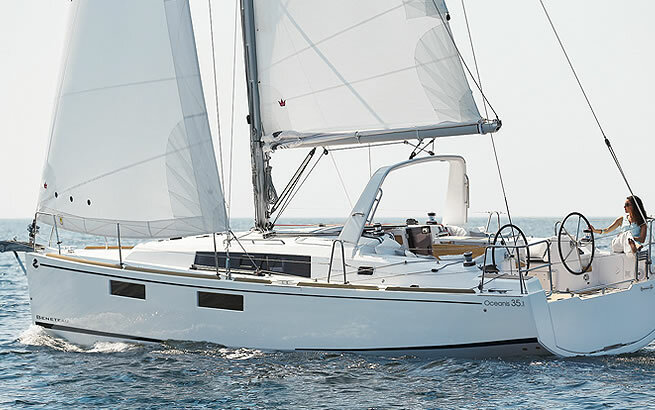 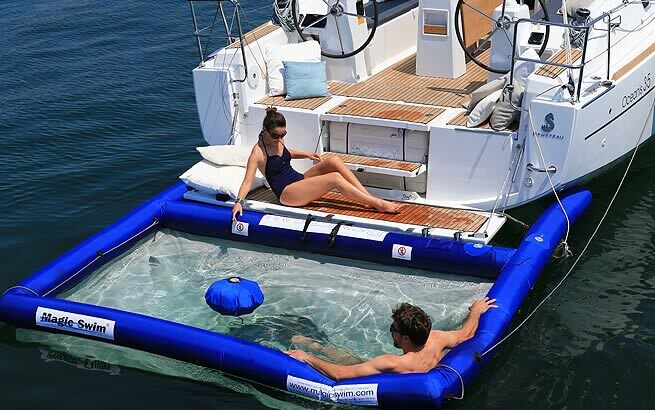 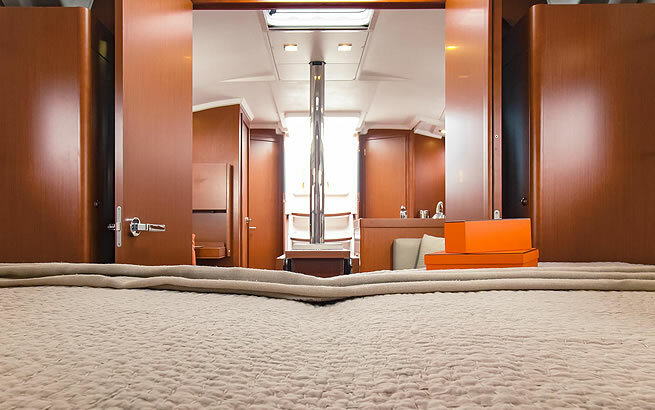 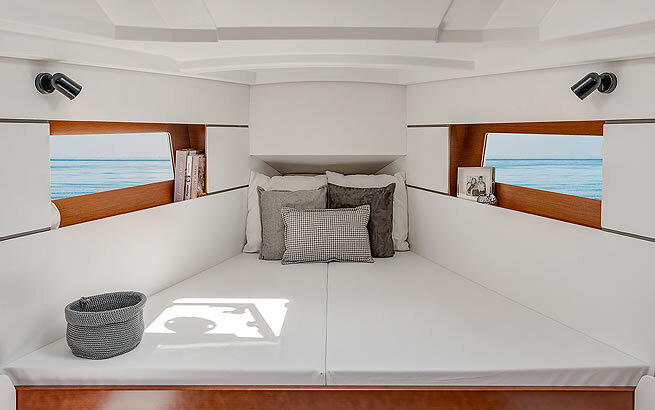 or the Italian design team, the challenge was to multiply the living spaces in the saloon and offer greater privacy in the owner cabin, while maintaining the visual perspective that her opening to the bow offered in previous versions. 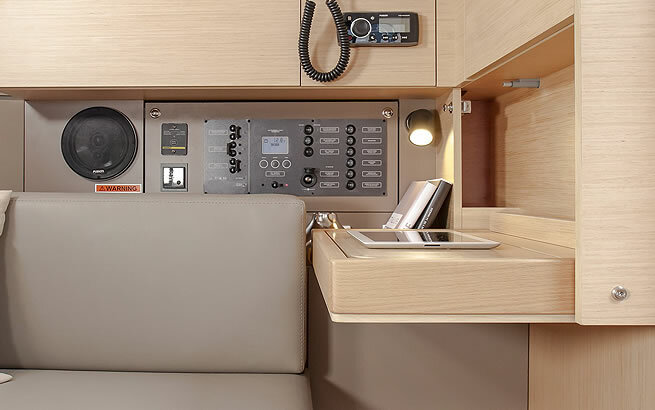 Foldable chart table to starboard. 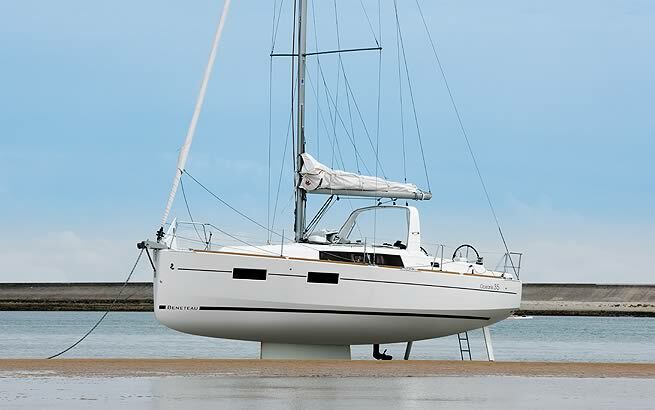 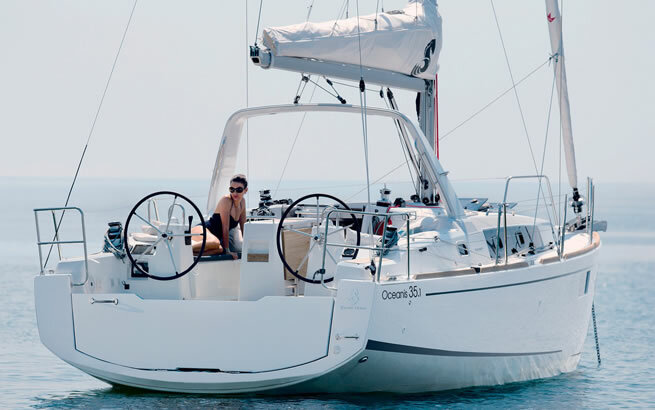 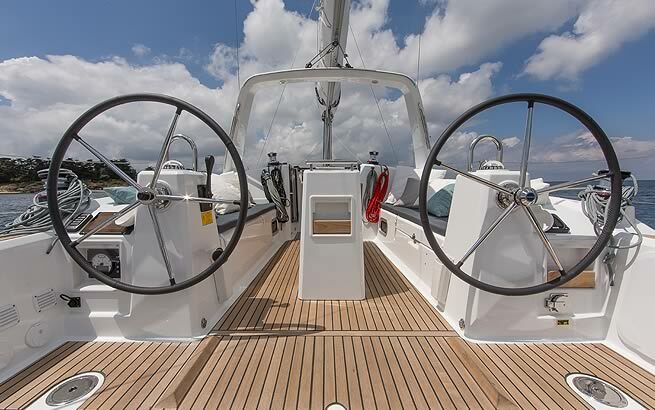 Bridle on roof for easy sail without arch (free the cockpit).